The short and dark days that come with cold weather don’t need to get you down. Bring beautiful ambience and light into your cosy haven when you bring the Senses Tea Light Holder Set home with you. Find a way to brighten the bleakest of days. On cold afternoons and nights, life can seem a little gloomy. Being outside seems impossible so the only place you want to be is at home. You’ve taken the time to make your home a true sanctuary. It’s warm. It’s full of beauty. It’s wonderfully welcoming. It’s no wonder you want to escape the wintry wind and rain to get back there. Now it’s time to add a little light to those dark and bleak days when you’re cosied up at home. 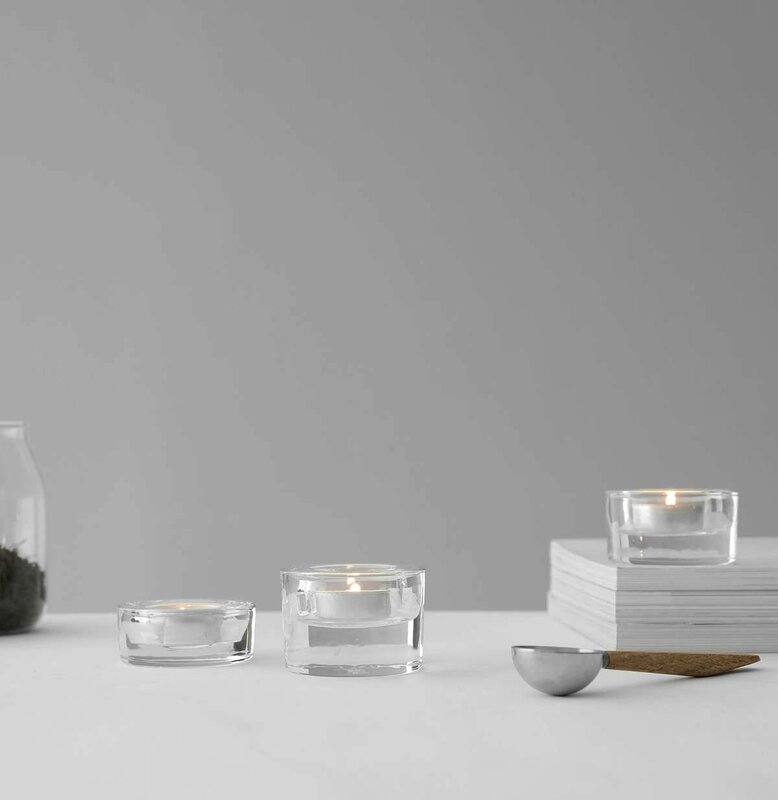 The Senses Tea Light Holder is here to add beautifully delicate ambience to your safe haven. This handcrafted crystalline set will brighten up even the gloomiest of days. 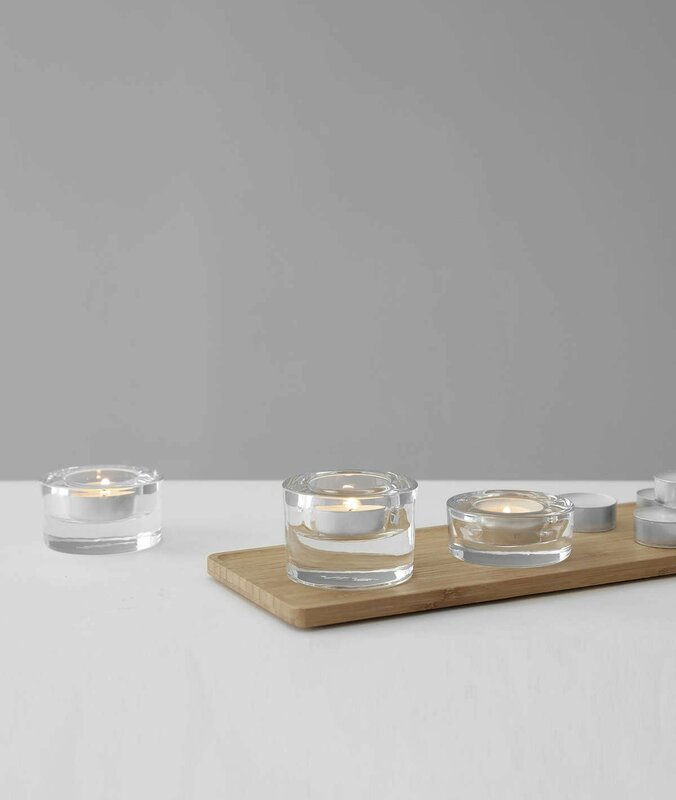 The simple elegance of these tea light holders will bring lightness and brilliance to every room. Don’t let the darkening days get you down. Make your home even more soothing to come home to. Find your solace. What is the Senses Tea Light Holder set made of? This set is made of our beautiful Vitricrysta sodalime glass. What size candle fits in these holders? Standard tea lights fit in these beautiful glass holders. While these tea light holders are the same width, they vary in height, making them beautifully unique from standard tea light holders. Does this set come with candles? No, tea light candles do not come with this set. Does the Senses Tea Light Holder Set give off much light? When these three holders are filled with candles, these give off a beautiful soft light. The light it gives off isn’t huge, however, it does create a delicate ambience with its subtle glow.